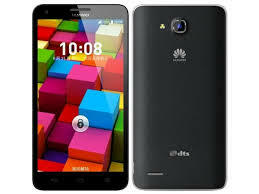 Chinese samrtphone and telecom firm, Huawei, has unleashed its second of its installment of its Huawei Honor 3X under the name of Honor 3X Pro. The phone is an Android based octa-core device and is particularly aimed for price-conscious consumers. The new smartphone is a nice and decent inclusion to the Huawei family. As far as the specs are concerned, the Honor 3X Pro is loaded with a mighty Full HD 5.5 inch screen panel. The handset also sports an identical faux-leather rear cover like as the Galaxy S5. The hardware category includes a super-quick octa-core chipset clocked at 1.7 GHz and a reasonable 2 GB. The built-in storage capacity of the phone has also been enhanced up to a whooping 32 GB which can also be integrated by means of microSD. The smartphone comes up with a duo of high-performance shooters. The main camera is a 13MP lens which can easily capture full HD videos (1080p). Another camera 5 MP sits at the front for secondary purposes such as taking selfies and video calling. The Honor 3X Pro is equipped with the Android Jelly Bean version 4.2.2 which is also customized. It also supports 3G technology, GPS and Bluetooth. A robust and long-lasting battery cell of 3000 mAh will surely make this phone more credible when extra-long working of the phone comes into play. The Honor 3X Pro is currently present in traditional White and Black color. As said earlier, the device is a budgeted phone with and affordable price tag of almost $270 and will be made available for the customers somewhere by the end of this year.